Get stunning, organized, and classified Vacation Planning Templates online. We provide best vacation schedule templates that require no technical skills for customization. 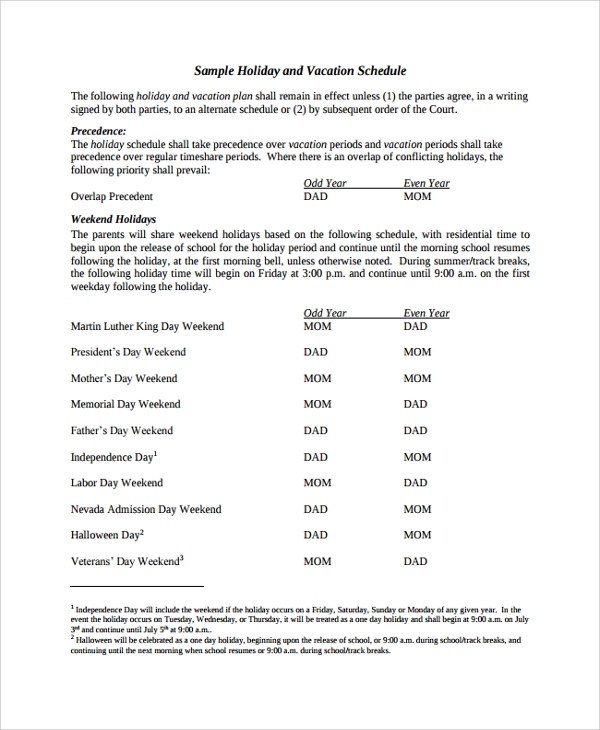 Our templates contain columns to fill the vacation details easily. 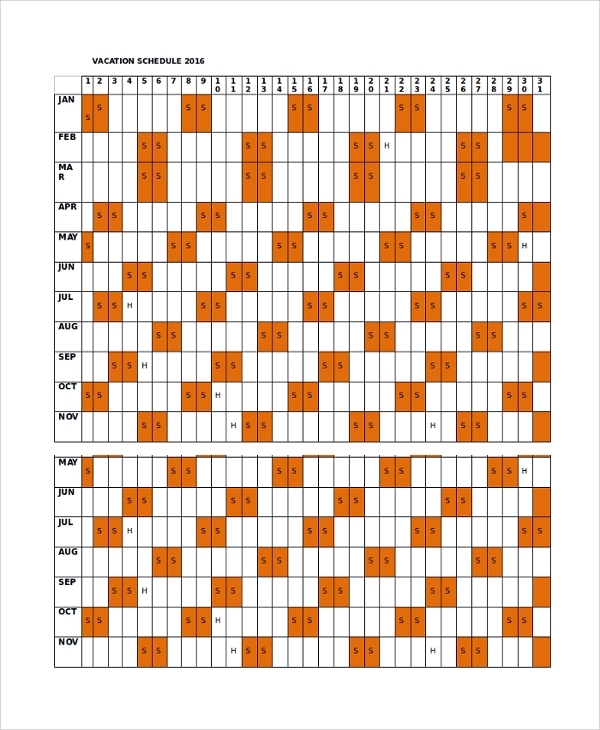 Organized layouts, unique & simple designs, wide column spaces and classified structure make it a perfect paper for making/preparing vacation calendars. You can offer a professional look to the vacation calendar by integrating business/organization logos. 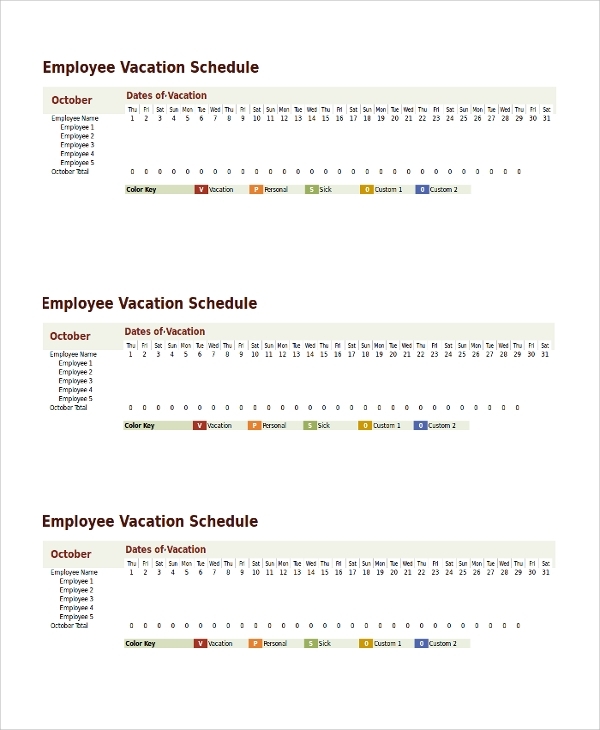 Employee Vacation Schedule template is an effective design to map paid holidays within institutes/organizations. Download the template and get full customization facility for modification. Also, describe the terms and policies regarding holidays like vacation tracking, vacation scheduling, and paid leave for termination employees. 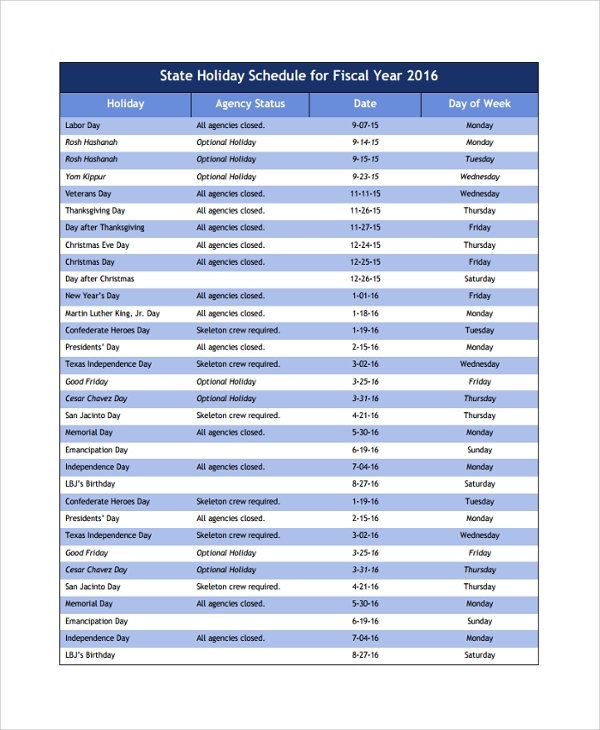 Holiday Vacation Schedule Template is a formal print-ready design that allows staff to mark yearly vacation schedule. The template is free to download and can be customized with ease. 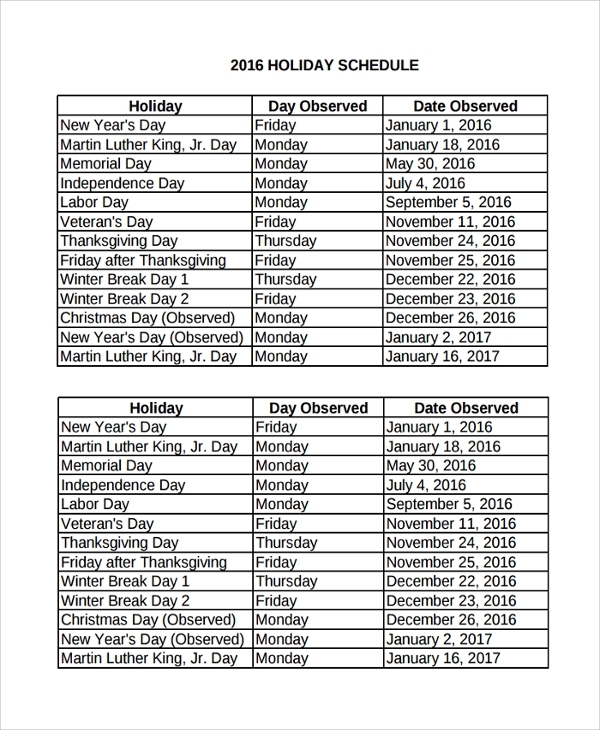 It includes columns to fill out holiday purpose, day and date. 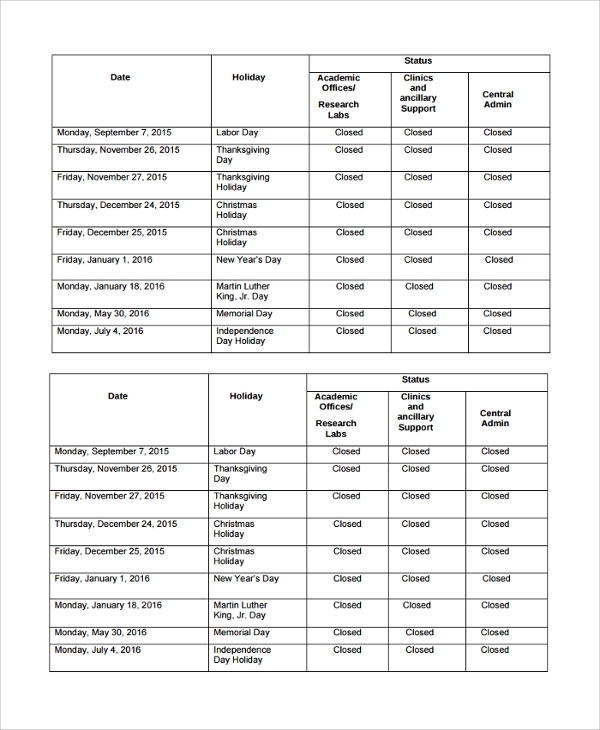 Office Vacation schedule templates are used for marking holidays of the current year. 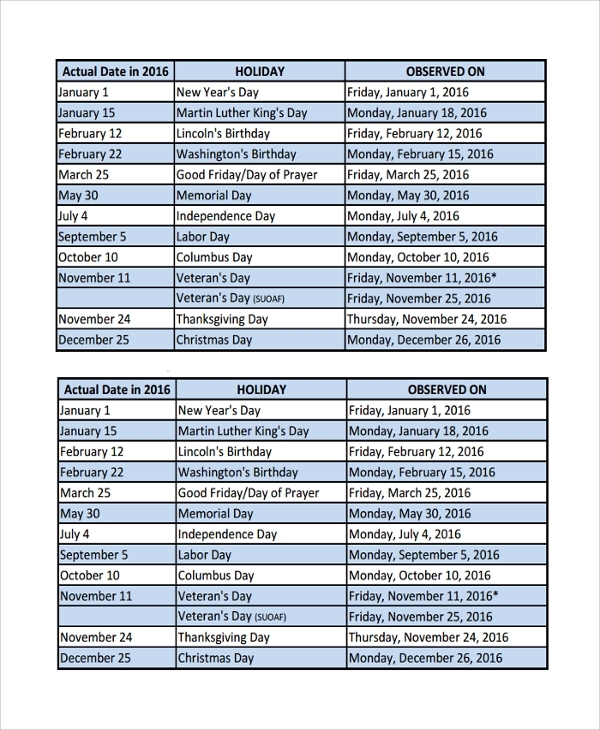 This vacation calendar template contains a short and specific table to highlight holiday season along with date and day. You can customize the table for text and color editing. Use * symbol to highlight important marks. Yearly Vacation Schedule template allows institutes/companies to classify yearly holidays as per the employee categories. 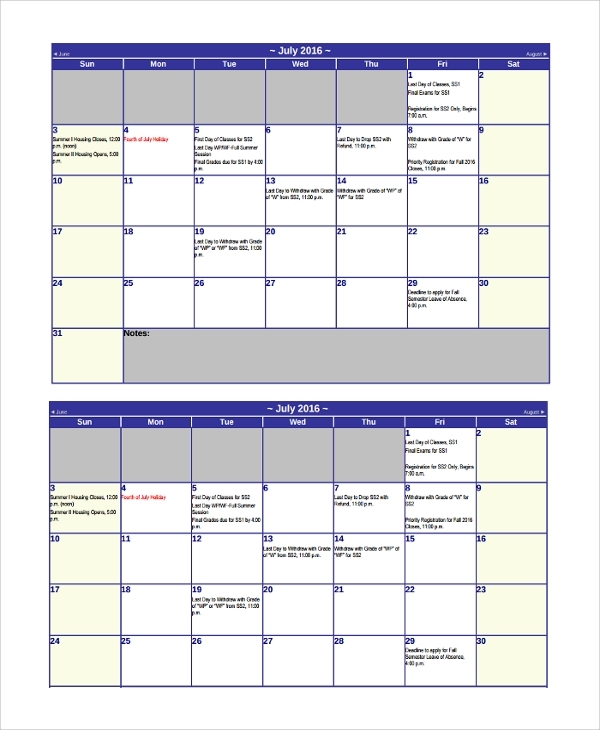 Prepare a holiday calendar and distribute it among the staff members. Highlight holidays with * mark to denote some additional information. The template is easy to customize and offers high-quality print. 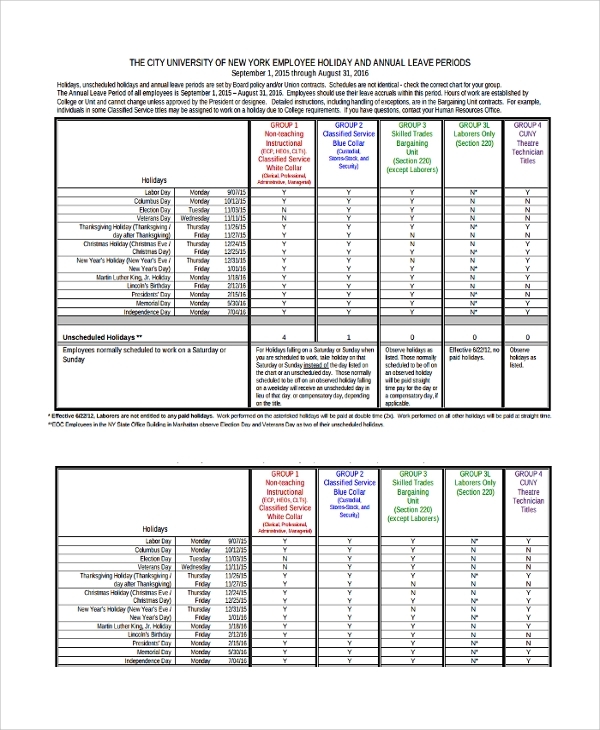 For whom Vacation Schedule Templates are useful? Our templates are designed using MS-Word. This tool is a free Microsoft product available worldwide for personal use. Download our world class templates and get access to unique and fresh designs. If you want us to do customization on your behalf then we will love to offer our services. You will need to contact us for accessing our custom services.